Sunscreens and toothpaste? Please, no! Sunscreens are not toothpaste. By Marc Sorenson, EdD. Sunscreens, in Australia and New Zealand, are being touted as absolutely indispensable to prevent of skin cancer. And, this has been the mantra for decades. So, experts from the two countries convened to obtain opinions and produce a statement regarding use of sunscreens. Much as I expected, they concluded people should apply sunscreen daily when the UV index reaches 3. And for much of Australia, that means every day. Thus, as a result of this declaration, a major Australian newspaper weighed in. They stated “Make it like brushing your teeth:” https://www.brisbanetimes.com.au/national/queensland/make-it-like-brushing-your-teeth-experts-urge-daily-sunscreen-use-20190124-p50thn.html. Rather convenient for those who produce sunscreens, no? If this advice is taken to heart by the people, sunscreen manufacturers and their stockholders will make a fortune. However, I guarantee that the people will suffer. Increasing use of sunscreens and skin cancer through Slip, Slop, Slap. It is especially relevant that Australians have been using a campaign called Slip, Slop Slap for decades. The campaign pushes everyone to avoid the sun and use sunscreens. And, according to Cancer Council Australia (the biggest manufacturer of sunscreens in Australia and New Zealand), it is remarkably effective. Thus they state, “The Slip Slop Slap slogan has become institutionalized as the core message of Cancer Council’s SunSmart program.” And, they say the campaign has played a key role in the shift in sun protection behavior over two decades. (The program has actually been used for about three decades.) Because of this program, Australians and New Zealanders use more sunscreens than any other countries on earth, and the use of sunscreens continues to rise. But as a result of this sunscreen use, has skin cancer diminished? How are the sunscreens promotions working for the health of the Australian people? Does the Australian sunscreen declaration run up against some inconvenient truths? So, we have a declaration suggesting that we should use sunscreens regularly like toothpaste. The declaration obviously implies that sunscreens are protective against skin cancer in Australia. It is hard to explain that conclusion. Why? Because the long-term, exponentially increasing use of sunscreens has been accompanied by an exponential increase in skin-cancer incidence. Therefore, if sunscreens are protective against skin cancer, there is something very wrong with that history. And, unfortunately, skin cancer also continues to rise. Hence, Australia and New Zealand have more skin cancer than any other country on earth. It seems like this emphasis on sunscreens has not worked. So we come up with this new formula. More use of sunscreens over the years=higher risk of skin cancer. And, it appears that they want to continue using this formula! But of course, the “experts’” solution is to ignore the historical facts and promote the use of more sunscreens. It seems like these people have not heard the old saying: “Doing the same thing over and over, and expecting different results, is the definition of insanity.” So, shall we be as dedicated to sun screen use as we are to brushing our teeth? Shall we make the use of sunscreens like the use of toothpaste? I have a secret for the people who promote sunscreens: Sunscreens are nothing like toothpaste, because toothpaste may actually accomplish something. Should North America adopt this Australian recommendation of daily use? Another piece of research looked at sunscreen use in North America and stated the following; “In contrast, for people who live at higher latitudes where UV radiation is weaker and less constant, regular sunscreen use may provide less protection against skin cancer, or even increase the risk of carcinogenesis.” The paper goes on to say “While the current evidence suggests no increased risk of skin cancer related to sunscreen, this systematic review and meta-analysis does not confirm the expected protective benefits of sunscreen use against skin cancer in the general population.” So again, this is NOT a recommendation for daily use of sunscreens. And, it indicates they may do more harm than good. So it appears, based on what has been written so far, that sunscreens may be worthless at best and dangerous at worst. Another recent scientific study on sunscreens and sunburns corroborates this conclusion. The authors of this study expected an outcome opposite of the facts. The goal was to discover which sun-protection behavior, including use of sunscreens, was most effective in preventing sunburn. Hence, they designed a cross-sectional investigation using a nationally representative sample of about 32,000 U.S. adults. And, those conducting the research interviewed each participant in person. This is especially relevant when attempting to achieve the most accurate results possible. We can conclude, therefore, that their findings regarding sunscreen use and other “sun-protective” behaviors have validity. Those other sun-protective behaviors included seeking shade, wearing a hat or visor, and wearing long sleeves and pants. What do dermatologists believe about sunscreen and sunburn? I have never heard of a dermatologist who didn’t believe that sunburns led to skin cancer. And I have only seldom heard of dermatologists who didn’t believe that sunscreens prevented sunburns. This research turns their beliefs about sunscreen upside down. 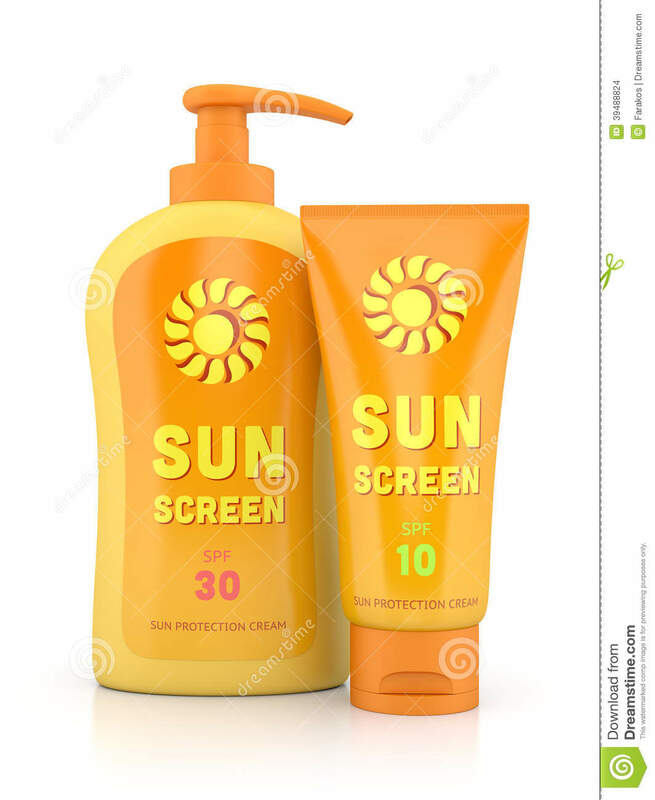 I have also been told that the reason sunburn occurs with the use of sunscreens, is this: People get a false sense of safety while using sunscreens. Consequently, they stay out in the sun for excessively long times. To me that doesn’t matter. If sunscreen leads to sunburn, which leads to skin cancer, who cares what the reason is? When using a poison, does it matter what the mechanism of poisoning is if the patient dies? Why use a product that causes harm? Finally, it has been known since 2014 that sunscreen use associates closely with sunburning. Therefore, sunscreens are not good products. We should protect ourselves from overexposure to the sun the way God (or Mother Nature, if you prefer) intended it. 1. Cover up when you start to redden, 2. seek shade or 3. go indoors. And remember that good health depends on obtaining regular, non-burning sun exposure. Another important study demonstrates that sunscreens do not help prevent melanoma. The researchers’ goal was to determine the efficacy of sunscreens in preventing melanoma. 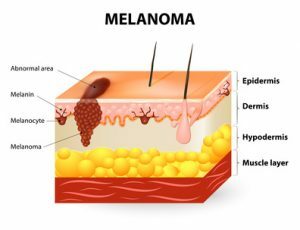 Hence, they compared melanoma rates with sales in 24 countries in Europe, during the period of 1997-1999 to 2008 and 2012. They found that higher income people had significantly higher melanoma incidence. And, increased sunscreen use had not prevented higher income populations from being at higher risk of melanoma. Consequently, we see this equation again: Higher sunscreen use=higher melanoma risk! One of the reasons for this little-known relationship is most noteworthy. Up to 99% of vitamin D production is stopped by sunscreen. Therefore, many of the health benefits of sun are voided. The best sunscreen, when you need it, is covering your skin with clothing, or going indoors. Stay away from the noxious chemicals. Be sure to obtain some non-burning sunlight whenever possible. David C. Whiteman, Rachel E. Neale, Joanne Aitken, Louisa Gordon, Adele C. Green, Monika Janda, Catherine M. Olsen, H. Peter Soyer, on behalf of the Sunscreen Summit Policy Group. When to apply sunscreen: a consensus statement for Australia and New Zealand. When to apply sunscreen: a consensus statement for Australia and New Zealand. Garland CF, Garland FC, Gorham ED. Could sunscreens increase melanoma risk? American Journal of Public Health, Vol. 82, No. 4, il 1992, pp. 614-15. Van der Mei IA, Ponsonby AL, Engelsen O, Pasco JA, McGrath JJ, Eyles DW, Blizzard L, Dwyer T, Lucas R, Jones G. A high vitamin D insufficiency across Australian populations and latitude. Environmental Health Perspect 2007;115:1132-39. Elizabet saes da SILVA, Roberto TAVARES, Felipe da silva PAULITSCH, Linjie ZHANG. Use of sunscreen and risk of melanoma and non-melanoma skin cancer: a systematic review and meta-analysis. Eur J Dermatol 2018; 28(2): 186-201. Williams SN, Dienes KA. Sunscreen Sales, Socio-Economic Factors, and Melanoma Incidence in Northern Europe: A Population-Based Ecological Study. SAGE Open October-December 2014: 1–6. Matsuoka LY, Ide L, Wortsman J, MacLaughlin JA, Holick MF. Sunscreens suppress cutaneous vitamin D3 synthesis. Journal of Clinical Endocrinology & Metabolism 1987; 64:1165-68.